"Why deny what you desire the most." This historical drama explores the relationship between early psychology pioneer Dr. Sigmund Freud (Viggo Mortenson) and his protégé, Dr. Carl Jung (Michael Fassbender). After developing groundbreaking theories about human behavior and the practice of psychoanalysis, Dr. Freud has become the preeminent expert on treating the human mind at the beginning of the 20th century. The younger Dr. Jung has admired Freud’s work and eventually decides to contact him regarding a unique case, where Freud’s methods helped him cure a patient. In 1904, Jung begins treatment of the hysterical, twitching Sabina Spielrein (Keira Knightley) in a mental hospital. Sabrina is young, beautiful and highly intelligent, but has been damaged by her difficult childhood with a violent father. Jung uses Freud’s talking cure, the uncovering of childhood traumas and confusions to resolve psychological problems. Sabina begins to recover, and Jung brings Freud the case and becomes Freud’s protégé, expected to carry on the older doctor’s work. Sabina aspired to become a psychoanalyst herself, and begins therapy with Freud. At the same time, Freud and Jung begin to differ on psychological theory, particularly on the role of libido and religion on human behavior. While Jung had diligently followed Freud’s methods of dream interpretation and word association, he also has his own ideas about the science of the mind which begin to contradict his mentor’s expertise. Freud advises Jung to speak to Dr. Otto Gross (Vincent Cassel), a psychiatrist who is now a patient. Their conversations lead the married Jung to begin a sexual relationship with Sabina. Freud eventually hears about the secret affair between Sabina and Jung, through his sessions with her. He begins to use the information in the ongoing professional debate between the men, and the rift between them grows. Sabina begins her own psychiatric career, and adds her perspective to each of their later psychological philosophies. 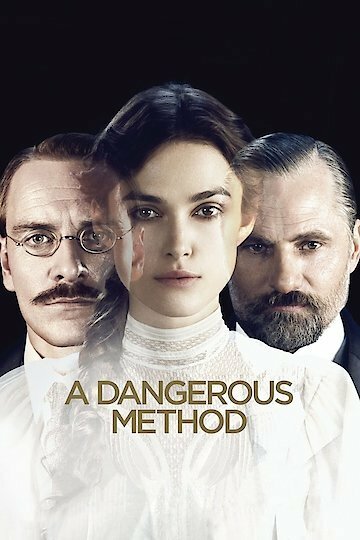 A Dangerous Method is currently available to watch and stream, buy on demand at Amazon, Vudu, Google Play, iTunes, YouTube VOD online.